April 18, 2019 | 12 p.m. — 1 p.m.
"Power Poses, Body Language and Amygdala Hijacks: the role of the body in leadership" is presented by Brian Blanche, Adjunct Professor in the MS in Leadership & Negotiation at Bay Path University. How often to do you see a course on the body in leadership programs? When we think of leadership capabilities, we often think of the ability to inspire, influence, strategize, build high performing teams, etc. but we don’t necessarily think about our physical posture or how we can develop our personal presence. We talk about what leadership is, but not so much about how to actually embody it. If you question the significance of the body for leadership, think of a time when you were under stress, when your rational mind told you to do one thing, but you did the opposite. None of us are great leaders when we are emotionally triggered, stuck in fight, flight or freeze reactions. But, we are can be highly impactful when we are in flow. We’ll explore the role the body plays in leadership, which in the words of Wendy Palmer and Janet Crawford, authors of Leadership Embodiment, is more about the how rather than the what of leadership. 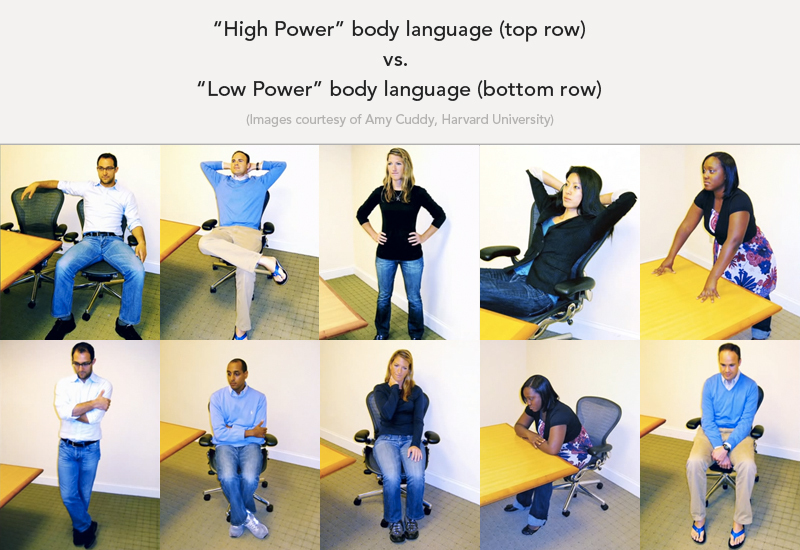 Leadership Challenge/Experiment for those listening to the webinar: Try power posing (high or low) and see if you feel the difference. Hold any of these postures for 2 minutes (e.g. before a meeting, a presentation, an announcement, etc.) and see what happens.